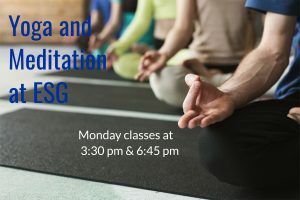 Taught by a certified yoga and seniors’ specialist on Mondays at 3:30 pm and 6:45 pm. Classes are suitable for all levels, and include breathwork, lots of stretching and some longer held restorative poses for immune building and healing. First class is complimentary.